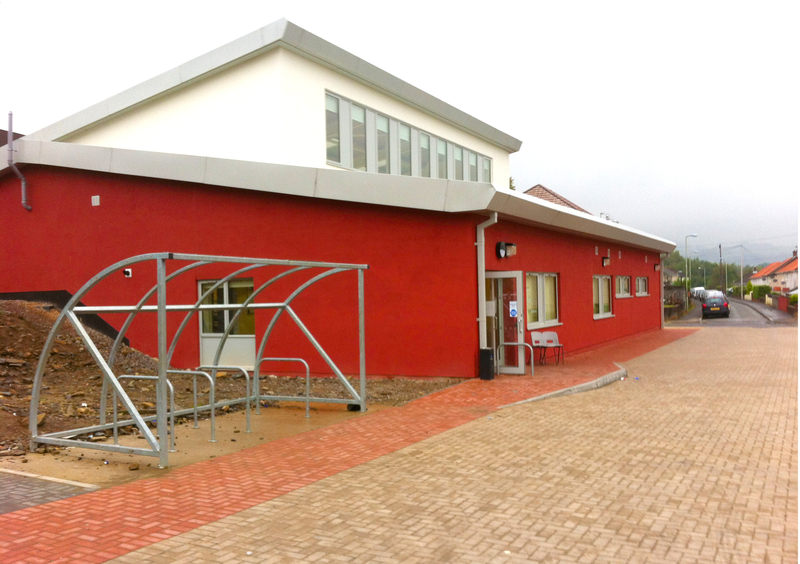 The town of Glyncoch, South Wales, had been fighting for seven years to build a much needed community centre. They had raised 95% of their funding goal but on March 30th 2012 their grants were set to expire. 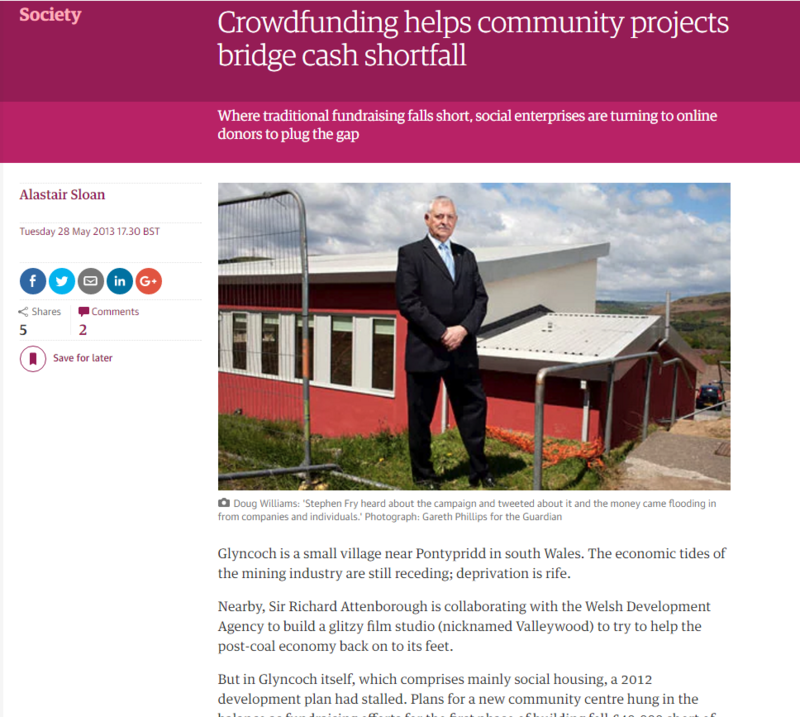 And so the community turned to Spacehive in an effort to crowdfund the remaining £30,000. 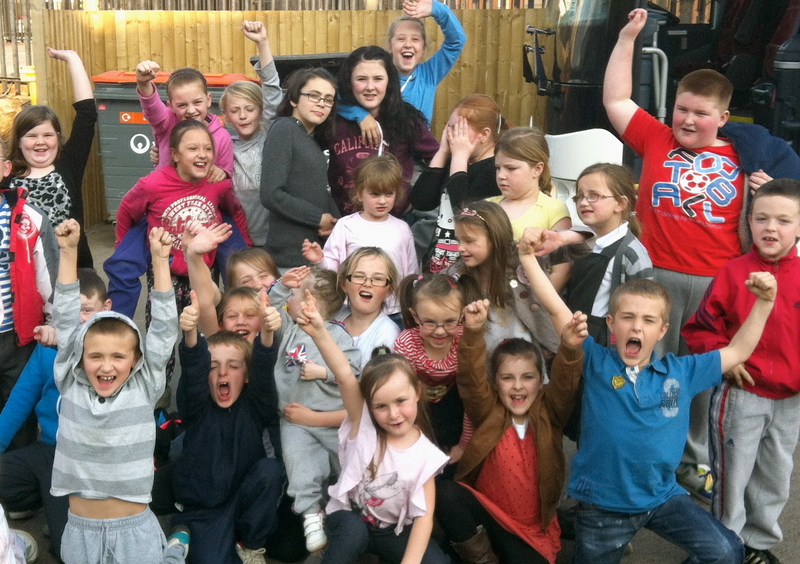 The hope was that people and businesses across the country would chip in to save the centre. If the last 5% could be raised, the centre would be able to offer social facilities and training sessions in a town where half the population was unemployed. How to raise £30,000 in five weeks? The project was a pilot for a radical new approach to neighbourhood planning designed to empower communities. The first step to making it happen was to tap the natural support base and approach friends, family and neighbours for support before approaching local people, schools and businesses. Once they’d achieved significant buy-in from the community, the next step was to get the council on side before contacting bigger businesses and corporates to pledge their support. The campaign had already attracted a broad mix of donors – from local families to corporates like Deloitte and Lloyds TSB – before celebrity Stephen Fry lent his support urging his four million Twitter followers to donate money to help build the community centre. The campaign then attracted other high-profile supporters including Martha Lane-Fox, co-founder of Lastminute.com, and Scott Quinnell, former Welsh international Rugby captain. 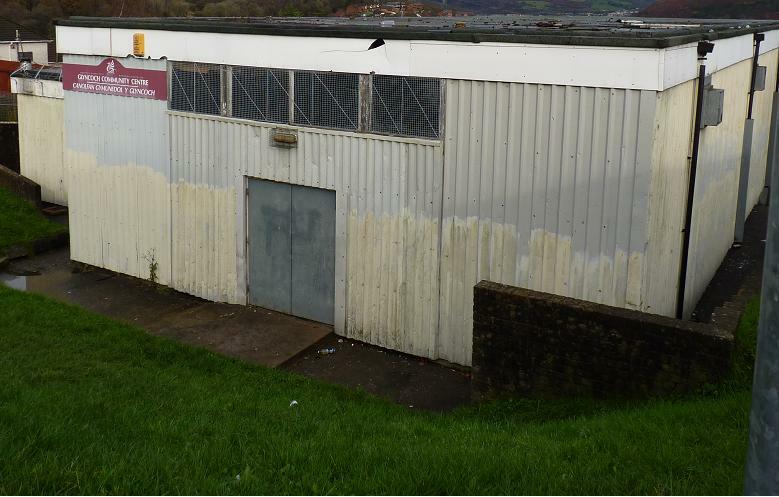 As a result of the five-week-long crowdfunding campaign, Glyncoch community centre received backing from 107 people and businesses, including the local mayor and Tesco Charity Trust. It pushed them past their funding target, and building on the first phase of the centre started the following September. The Glyncock community centre now operates as a hub for courses, classes and activities for local people.